I often ponder the longer I work as a small animal clinician, the more difficult it seems to get. Every case is like a game of Cluedo. Ask the right questions (history), pick up the right clues (clinical exam) and solve the mystery (diagnosis) to win the game (treatment plan and follow up). Luckily, like most veterinarians, I am up for a challenge and being an ’A type’ personality I am of course motivated to win, or at least put the effort in trying. Sometimes on my weekly dog walking meditation afternoon, the clouds part and the light bulb fires. Am I approaching ill or suboptimal health the wrong way? In this day and age, especially with the urbanisation of our pet population, could poor health be simplified and could we do a bit more catching before the falling? If I had to decide on what most commonly causes pet health problems in our animal companions I’d say it comes down to two things…what goes on your pet and what goes in them. Consider your pet’s environment. Parasites, household chemicals (like floor and laundry detergents), weeds, grasses, moulds, pollens and of course what products we (or the groomer) use on skin and coats. Our pets are the canaries in the coal mine…often the first to go down when there is a problem in the home. What we feed our pet is equally, if not more, essential in the fight for better health. A healthy gut dictates optimal systemic health and overall wellbeing. As Hippocrates said “All disease begins in the gut”. No wonder he is the father of western medicine as this simple philosophy will be our catch cry in the near future. 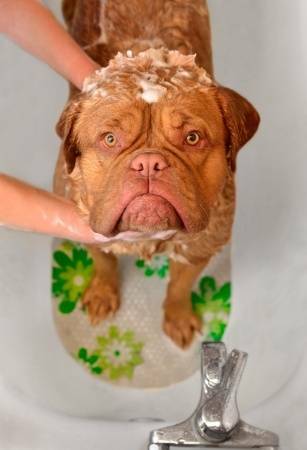 This month ‘Spring Clean’ is about assessing your pet’s overall health. It’s a chance to go back over the basics and a reminder, as a pet owner, some things are easily missed or forgotten. Wellbeing checks are not just about disease protection and ensuring immunity is up-to-date. They are about making sure your individual pet is at its optimal wellbeing and is prepared for the year and health challenges to come.